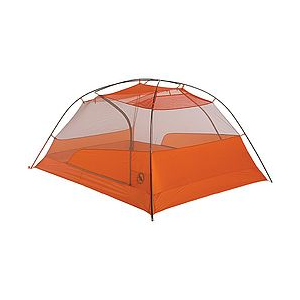 Excellent choice for three-season backpacking or car camping. 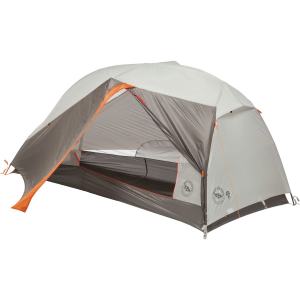 The newly improved Big Agnes Copper Spur HV UL2 was on many of the "Best Of" lists when I was researching a new tent. I started shopping around, and found it on sale for $100 off, so jumped on it. 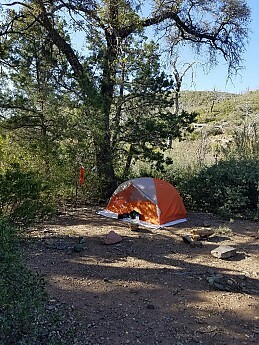 I had been using a one-person, non-freestanding tent, and looking for a tent with a little more room, free-standing, and lighter. This tent more than met all requirements. 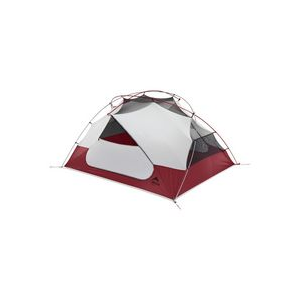 The stated weight of this tent was 3 lbs packed. So I was getting almost twice as much room for almost two pounds less my current tent. Upon receipt, I worried that it was TOO light and flimsy, it was incredibly lightweight, almost wispy. So I use a sheet of Tyvek as a footprint. The initial setup of this tent was very quick and easy. 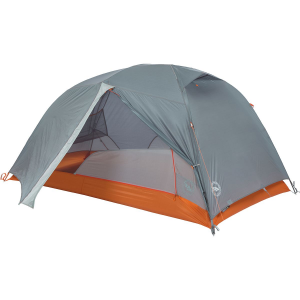 The tent has color-coded tabs to show the head (slightly wider) and the feet, which corresponds to color coded poles. The daddy-longlegs-shaped 4-way pole system requires some space to spread out. The pole tips slip easily into the grommeted tabs and stay put while erecting all four corners. 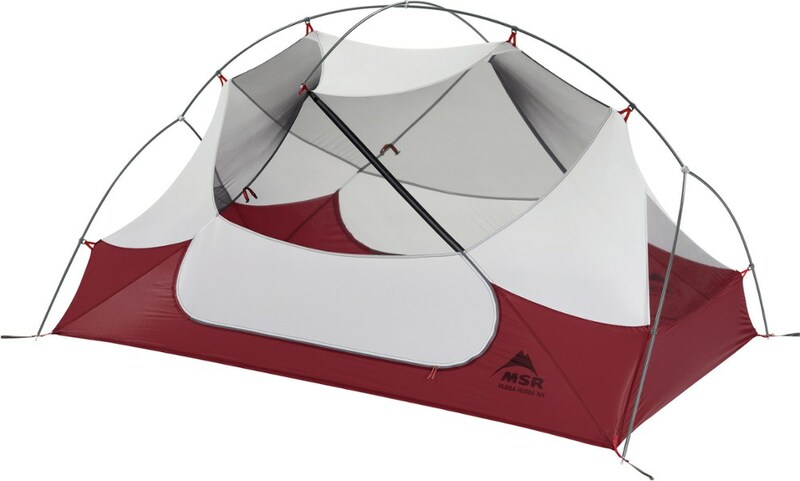 Each side of the tent snaps to the pole and the tent is erect. There's one more smaller cross pole that goes across the top and snaps into ball-and-socket plastic locks that instantly adds another five or so inches of head room. I was instantly impressed by the amount of space this tent had! There are two doors with zippers that have loops on them, making them easy to grab, and they slide very smoothly. 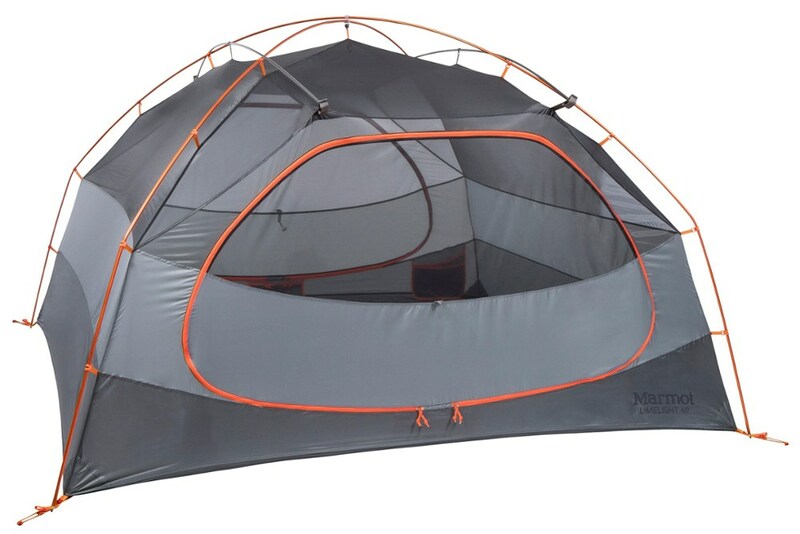 The tent body has pockets on each side for your stuff, plus another pocket across the top with headphone jack slots. There are reflective tabs to show all the important pieces to set up at night with a headlamp. And the headroom was amazing! I easily fit my sleeping pad, my entire backpack, and all my gear into this tent and still have room to move around. The rainfly has color coded snaps that correspond to the poles/tent body to show head and foot, and is super easy to put into place. Each corner snaps on. It has a small vent at the top to allow for additional ventilation. The sides stake out for a double vestibule. However using the provided stakes has been a bit of a challenge for the vestibule. It may be because of my lack of experience in this type of stake (j-peg style). 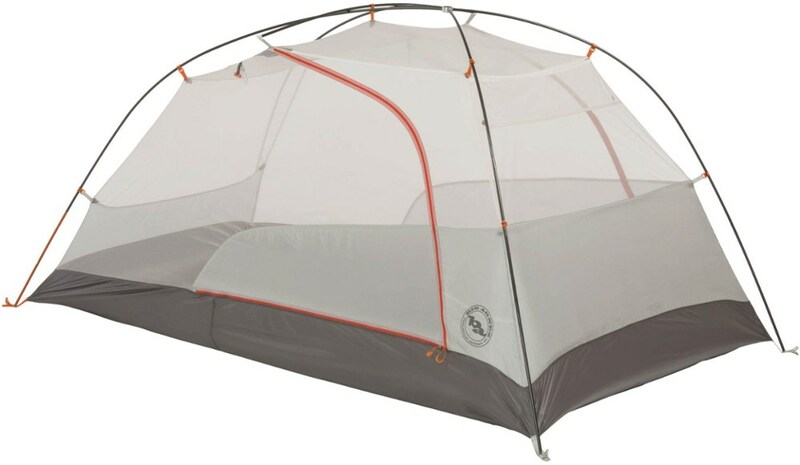 The ground where I've used this tent is very hard, and the angle to stake the vestibule has to be more severe to pull it taut and hang on for the zipping and unzipping. It becomes unstaked very easily. So I'll invest in a different type of tent stake for the vestibules. The rainfly is also a bit more difficult to zip and unzip and gets caught easily. I have camped in this tent in warm weather without the fly, and in as low as 40 degrees. There was a lot of condensation in the colder temperatures near the river, but that really could not be helped. I've only been in it in a light rain, so cannot attest to its weather resistance. 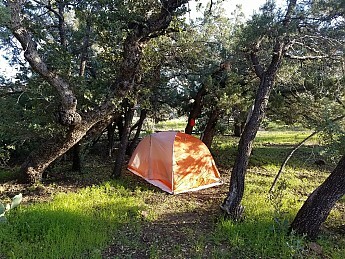 I have now taken it on seven different trips, and really love this tent. It was super easy and quick to take down as well. Overall, the weight, size, and extra features of this tent make it very much worth the money I spent on it. I will invest in a couple of stakes for the vestibule, and it should be perfect! Nice review, Teri! Thanks for taking the time to share it. 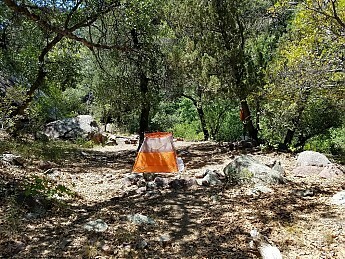 Do you have any pictures of your tent you could show others in your review? Great pictures, Teri! Thanks for adding them to your review. Very sturdy. Holds up against wind and rain. For an overweight male and my fit wife, we had plenty of room for two 20-oz pads and a few clothing items at our feet. No room of course for bags inside, but side opening doors, generous vestibules at each side door, footprint matches perfectly. All together this tent, stakes, and sack (a stake for each cord, can get away with fewer), tent poles and sack, footprint, rain fly, and tent bag, all pack out for me at 3.6 lbs. What you get in room you give up in weight, 3.6 lbs with footprint, stakes, and all. When I'm alone this is a suite, for two fat adults would be tight-ish, me (fat), wife (fit), comfortable. It's very study and free standing (pitches w/o stakes, though who'd do that). 4.5 / 5. If it were lighter I'd give it a 5, but at 3.6 pounds packed out it has me drooping for something lighter.